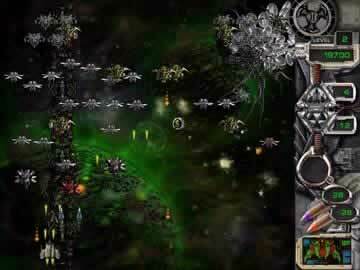 Star Defender II Game - Download and Play Free Version! Annhilate the alien ships responsible for destroying the Earth! 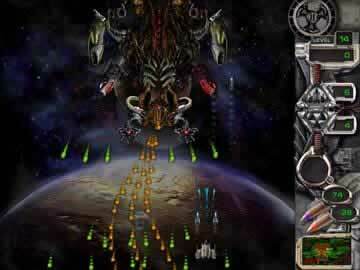 Star Defender 2 sends you against the alien forces that destroyed the Earth - and you are here for revenge! 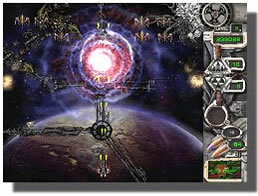 Battle through 100 levels facing wave after wave of alien ships that change shape, attack pattern and even disappear! As you destroy your enemies, pick up valuable powerups including weapon upgrades that can turn your ship into an avenging death machine! Missiles in several types will also be a welcome addition to your arsenal to help take out ship clusters and bring down the bad end bosses fast! 9 large missions with a huge Boss at the end of each. The survivors of Earth need you. Go show the alien hordes nobody messes with Earth - nobody!